Thanks to everyone who came out and climbed hard at Round 3, and congratulations to our winners! 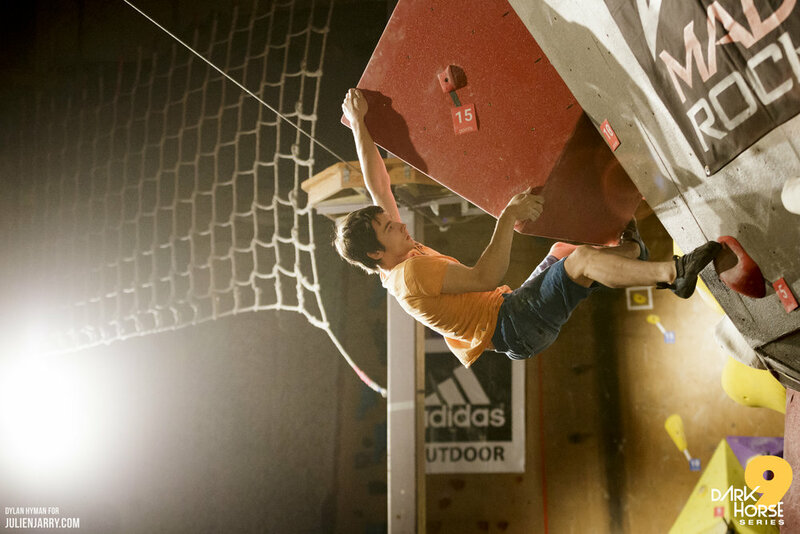 MetroRock's very own Andrew Kim powers through a boulder problem of the Open Finals round. MetroRock team member Helen Gillet focuses in on her next move, in the Women's Open Finals. Congratulations to our winners and all of our competitors for joining us for Round 2! 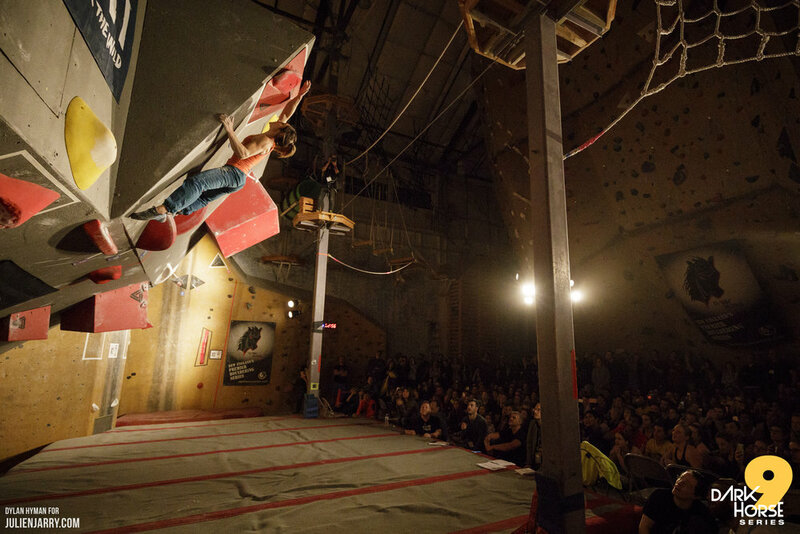 Bryce Viola on the last boulder problem of the finals round. Congratulations Bryce! Alex Puccio flashes the final boulder problem in the women's open finals round. Awesome job Alex! Congratulations to our winners and all of our competitors for joining us for Round 1. 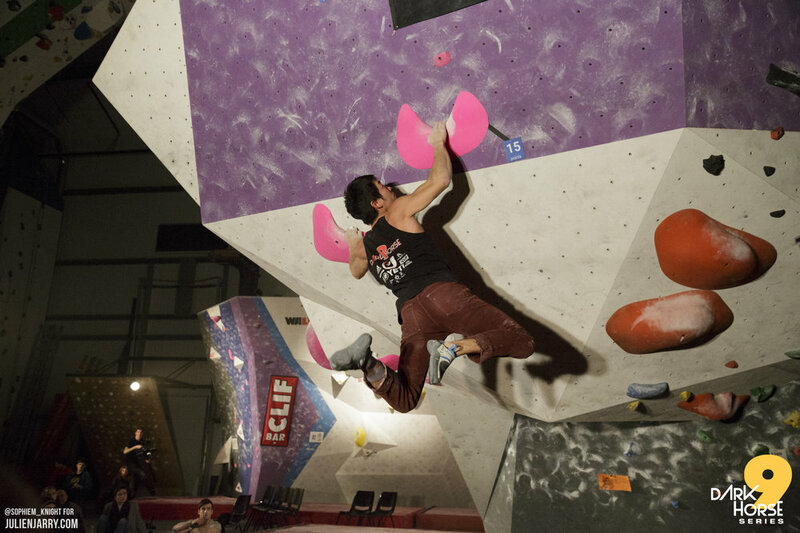 Molly Gaynor finishing the first of four routes in the finals at Dark Horse Round 1. Congratulations Molly! 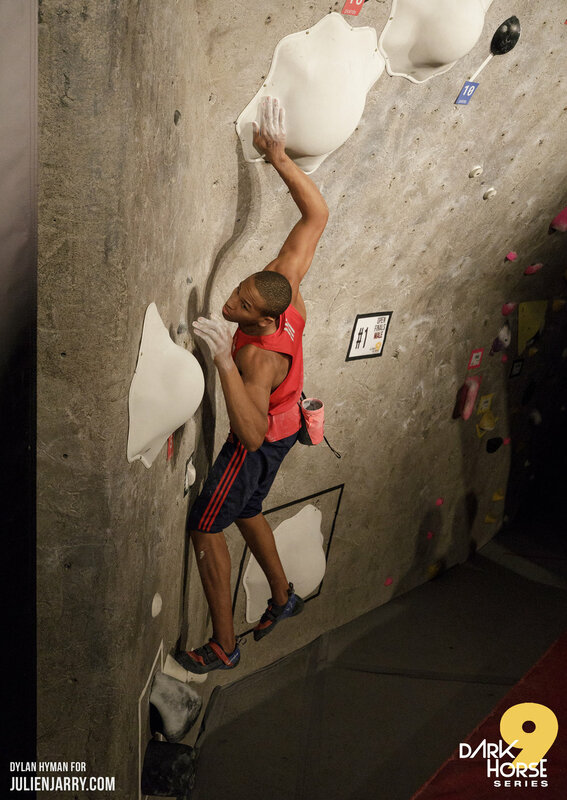 First Place winner Kai Lightner focuses on his first route of the finals of Dark Horse Round1. Congratulations Kai!